The Carbon Pollution Reduction Scheme released today by Kevin Rudd, represents a total capitulation to the forces of short term greed and inaction. The emissions target of 5 per cent reduction on 2000 levels by 2020, rising to a 15% cut in the event of a global agreement, is not even close to what the science says is necessary to avoid runaway climate change – a catastrophe which will claim hundreds of millions of lives and impoverish everyone else. According to the latest science there is already too much carbon in the atmosphere. 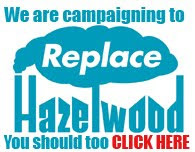 Emissions need to go as close to zero as possible, as soon as possible, with measures then taken to remove carbon from the atmosphere to appropriate levels, generally estimated to be around 300-325ppm CO2 – for more information on this, click here or visit the IPCC website. The weak emissions target also marks Australia’s return to pariah status in the international policy arena on climate change. A 15 per cent target is a joke for a wealthy country such as Australia, and this target will help to sabotage any slim chance that the world community had of negotiating a decent emissions reduction agreement in Copenhagen in 2009. This agreement not only ignores the science, but it also represents a massive transfer of wealth to big business, via free permits and compensation. Power generators, including coal-fired power stations, will share in $4 billion of “compensation”. This was a mistake made in the European emissions trading scheme, which resulted in massive windfall profits for power generators and price rises for consumers. The Federal Government is aware of this but has obviously decided to repeat the same mistakes the Europeans made. There will also be a free permit bonanza, with emissions intensive trade exposed firms getting up to 90 per cent of their permits for free. It is also an immoral policy which will see the poorest people of the poorest countries suffer first, even though they are not to blame for the world’s historic greenhouse gas emissions. This cannot be allowed to stand. This is a suicidal and irresponsible policy and the Rudd Government is betraying the Australian people. The Rudd Government spin is that they are negotiating the middle ground between environmentalists and industry. In reality, they are ignoring the science and not being truthful with the Australian people on what the true consequences of their weak policies are. This policy has come about because of a lack of strength and leadership in the government, but also because the public is not actively demanding a science-based climate change policy. The only way we can turn this ship around is to get off our bums and hit the streets. Plan ZED needs your support!